My Aunt Margaret was a liberated woman even if she didn’t want to be. She was divorced in 1957 – a time when divorce was considered scandalous -- and from then on, she held her head high and supported herself as a musician. Then again, she was fortunate to be so talented and well educated. 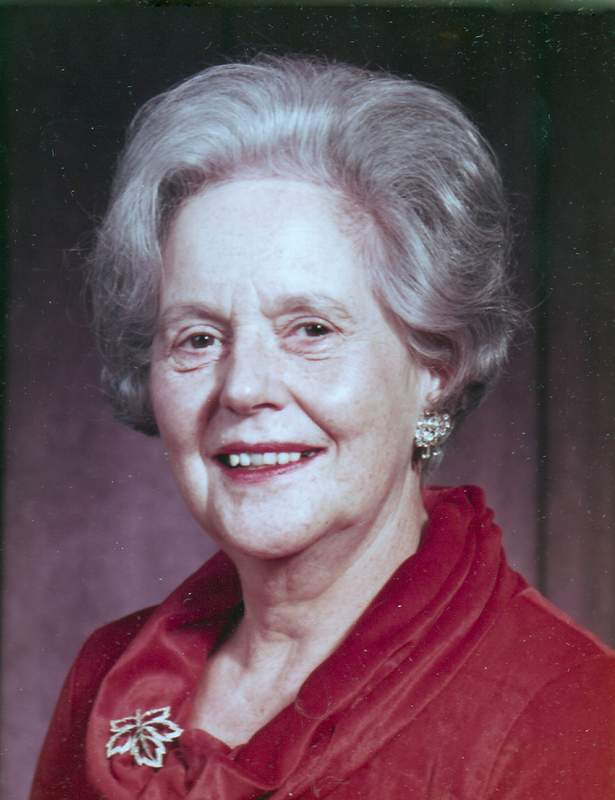 While living in London, Margaret continued to study piano and singing, and she was active in the music community, including the London Chamber Music Society and the Women’s Music Club. She was pianist for the annual performance of Handel’s Messiah on several occasions, but the highlight was her 1952 solo performance of a Mendelssohn concerto with the London Civic Symphony. Meanwhile, Jim was also prominent in the city’s music scene through the Kiwanis Club and church choirs. Then he fell in love with another woman and decided he wanted to marry her. “He did not want two Mrs. Bachs in London, so he made it financially impossible for Mother to stay there,” Fran explains. In 1956, Margaret and her two daughters packed up, boarded a train and moved to Winnipeg. The timing couldn’t have been worse: Margaret’s mother died just a few weeks later, in September, 1956. “It was the year from hell for Mother,” says Fran. Margaret moved into an apartment on the second floor of the old family home, above her brother Dr. Glen F. Hamilton’s medical office. It was a comfortable apartment, but it was not what she was used to. Jim helped the girls pay for university, but he did not give Margaret much to live on, so she turned her love of music into a real career. With a grand piano in her apartment living room, she gave piano and voice lessons to many aspiring young Manitoba musicians. She also taught part-time at a local girls’ school, she was a rehearsal pianist for a city choir, and she was a frequent adjudicator at music festivals. “She made a life for herself,” says Fran, “but she never had another love relationship. I think she was always ashamed of being divorced. She didn’t like talking about it.” She always kept her married name, Margaret Hamilton Bach. 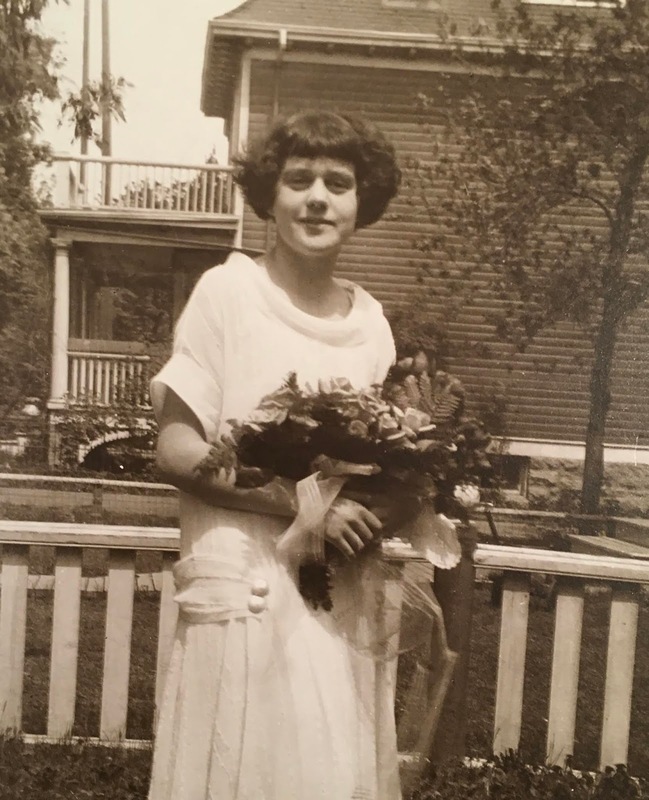 As Margaret moved toward retirement, she dropped adjudicating, but she maintained her interest in music education, and she always enjoyed attending concerts in Winnipeg. Meanwhile, she pursued other interests and visited her daughters and grandchildren in Eastern Canada, and later on the West Coast. 2. 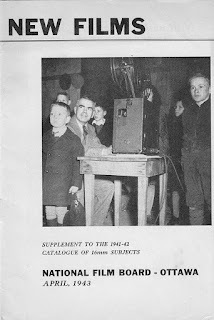 “London Civic Symphony, Thursday, April 3rd, 1952, London, Ontario,” programme. The five young men posing for a studio photograph in turn-of-the century Winnipeg look serious. They probably wouldn’t have been the life of any party, but if you needed help, no doubt each would have stepped up. They were, after all, of Scottish descent, professional men imbued with a strong Presbyterian ethic of hard work and responsibility. They shared similar square faces, gentle eyes and wavy hair, and if you guess that they were brothers, you are right. They were my grandfather Thomas Glendenning Hamilton (known to his friends as T. G.) and his brothers Rob, Jim, John and Will. What you couldn’t know is that there is someone missing from this photo: their only sister, Maggie, who died in 1886. They grew up in Scarborough, Ontario on the land their immigrant grandfather had cleared. Their parents were farmer James Hamilton senior and his wife, Isabella Glendenning. Robert, born 1860, was the oldest, followed by Margaret, John Stobo, James Archibald and Thomas Glendenning. The youngest, William Oliver, was born in 1875. James Hamilton Sr. was strongly opposed to alcohol consumption and, with western Canada opening to settlement, the family decided to help establish a temperance colony on the Prairies. In 1882, Rob accompanied his father in an advance party, leaving Isabella in Toronto with Maggie and the younger boys. 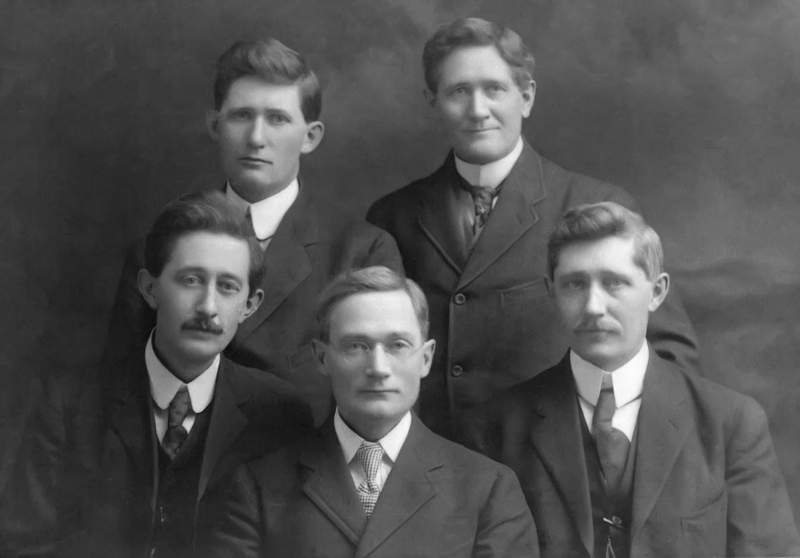 The following year, the brothers and their mother joined James and Rob in the newly founded Saskatoon, Saskatchewan. The pioneer settlement faced harsh winters, drought and food shortages, and the attempt to establish an alcohol-free community was a failure. Meanwhile, in 1885, the Northwest Rebellion took place almost on the Hamiltons’ doorstep. The rebels were the Métis people, angry that they were losing their hunting lands to the new settlers. James and Rob served as guides to the government militia forces sent to quash the rebellion, while Isabella and Maggie helped look after the wounded soldiers following the Battle of Batoche. James Sr. had an opportunity to go back east with the troops, so he decided to visit his relatives in Ontario. While there, he suffered a massive heart attack and he was buried in Scarborough. The following year brought another blow to the family when Maggie died of typhoid at age 24. Finally, Isabella and her sons decided to move to Winnipeg. The boys wanted to continue their studies and it had become clear that farming was not for them. The family members separated for several transitional years. Rob went to Toronto to study for a career as an electrical inspector, while John taught school in British Columbia. Meanwhile, Isabella took Will, who was then about 15 years old, to look for a house in Winnipeg, leaving T.G. and Jim in Saskatoon. In 1891, with their father’s estate finally settled, the two brothers, ages 18 and 21, travelled by pony and buckboard the 800 dusty kilometers from Saskatoon to Winnipeg. Back in Winnipeg, Rob helped to support the family while his brothers studied. During their student years, they all helped to pay their own expenses by teaching school. John was the first to graduate from university, obtaining a degree in philosophy in 1892, followed by a degree in theology in 1895. Jim became a doctor, and T. G. followed his older brother into medicine, graduating in 1903. That same year, John gave up his post as a minister when he finished his medical degree in the United States. Will taught for five years, then articled in law and opened a law firm, Beveridge and Hamilton, in 1911. Four of the brothers remained in Winnipeg for the rest of their lives, although they didn’t see each other often. Jim, who was single, and T. G. were probably the closest of the brothers, sharing a medical office downtown. Rob and his family lived in another part of the city. A quiet person and in poor health, he did not socialize much with his brothers, and neither did Will. John and his wife and daughter lived in North Dakota, about 80 miles from Winnipeg, and they made frequent short visits to the city. In the 1920s, T. G. and his wife Lillian became interested in psychic phenomena. At the time, this was not unusual: many people wanted to communicate with loved ones who had died in the Great War or the flu epidemic. The couple had lost their three-year-old son to the flu in 1919. They hosted séances at their home almost weekly for more than a decade, and T. G. documented the paranormal events they observed. Jim attended these meetings regularly, but the other Hamilton brothers did not. Finally, the brothers’ deaths reunited them. They all suffered from heart problems. Rob died in 1923 and Will died suddenly at his office in 1924, at age 49. John died of a heart attack in 1932, Jim in 1934, and T. G. followed in 1935. They are all buried beside their mother, their sister and other family members in Elmwood Cemetery, Winnipeg. This article relies on family histories and letters written by my late aunt, Margaret Hamilton Bach, and by Alison Mossler Wright (John’s granddaughter) and the late Olive Hamilton (Rob’s daughter). Three brothers, John, Thomas, and Timothy Stanley, with their wives and children, set sail for America from England in 1634. They were part of a wave of strongly religious Puritan settlers who came to New England because they disagreed with the Church of England. Their father, Robert Standly (c 1570-1605), was a whitesmith (meaning he made things out of metal) in Tenterden, Kent, in the southeast of England.4 Their mother’s name was probably Ruth. Timothy Stanley quickly established himself as a successful farmer in Hartford, and when a land inventory was taken in 1639, he held nine parcels of land of varying sizes. His house lot, including outhouses and gardens, was about two acres, on the west side of Front Street and with a view of the river. Later, he also bought property in Farmington, about 10 miles away. 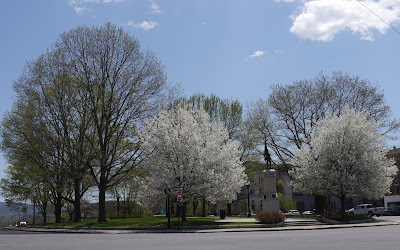 While many of Hartford’s early settlers moved to other Connecticut towns, my direct ancestors stayed in Hartford for several generations. 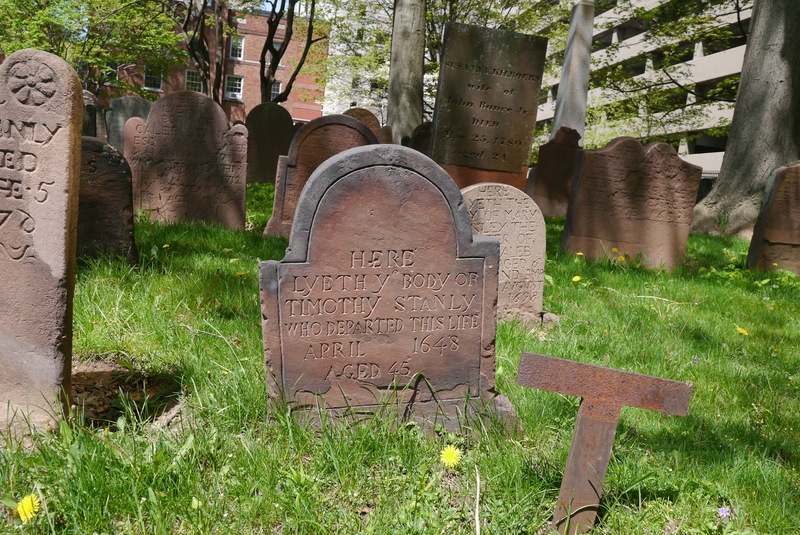 Eventually, great-grandson Timothy Stanley moved to Harwinton, CT and then to Wethersfield, and his son, Timothy Jr., settled in Litchfield, CT. Perhaps there are more family graves waiting to be found in Connecticut. 4. Leslie Mahler, “Re-Examining the English Origin of the Stanley Brothers of Hartford, Connecticut: A Case of Invented Records,” The American Genealogist, vol. 80, July, 2005, p. 218. www.Americanancestors.org, accessed July 24, 2013. 5 Robert Charles Anderson, The Great Migration: Immigrants to New England, series 2, vol. VI, Boston: New England Historic Genealogical Society, 2009. 463. 6. David M. Roth, Connecticut: A History. American Association for State and Local History, New York: W. W. Norton & Co., 1979, 39. 7. Israel P. Warren, compiler. The Stanley Families of America as descended from John, Timothy and Thomas Stanley of Hartford, CT, 1636. Portland, Maine: printed by B. Thurston & Co., 1887, 228. 9. Francis J. Bremer, Puritanism: A Very Short Introduction, New York: Oxford University Press, 2009, 43. Many family names disappeared quickly in my family tree, but two stand out through several generations: Bagg and Stanley. Both of these families lived in colonial New England from the mid-1600s to the 1790s. 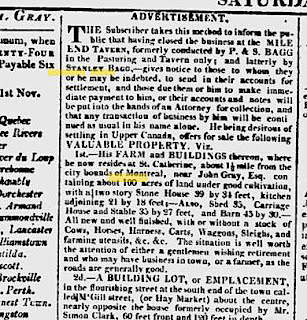 The name Stanley disappeared from my line in 1780 when Pamela Stanley married Phineas Bagg. After her death, Phineas Bagg moved to Canada. 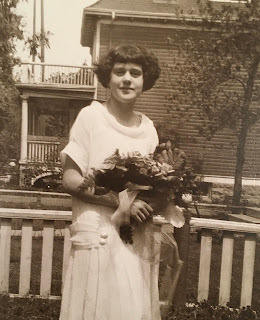 Born four generations later in Montreal, my grandmother’s maiden name was Bagg. I have posted an article outlining what little I know about Pamela Stanley.2 In my next post I will pull together more details about the immigrant Timothy Stanley and his wife Elizabeth. Meanwhile, this article outlines the four generations in between Timothy and Pamela in my line of the Stanley family. Timothy Stanley (1603-1648) and his wife Elizabeth (c 1602-1678) came from Tenterden, Kent, England, and, in 1636, they settled in Hartford, CT.3 They were part of a wave of Puritans fleeing England because they wanted to reform the Church of England. In New England, the Puritans hoped to establish “a city upon a hill” where they could put their beliefs into practice. Five of Timothy and Elizabeth’s seven children were born in New England and grew to adulthood. Their fifth child was my direct ancestor, Caleb Stanley (1642-1718).4 In 1688, Capt. Caleb Stanley was appointed the important task of keeping Hartford’s ammunition safe. He was married three times: 1) Hannah Cowles, daughter of John Cowles; she died in 1690, age 44; 2) Mrs. Sarah (Foster) Long, who died 1698, age 44; 3) Mrs. Lydia (Cole) Wilson, died 1732. Caleb Stanley and Hannah Cowles had a number of children, but most died as infants. My line of the family goes through Caleb’s and Hannah’s fifth child, Caleb Jr.. Caleb had two more children with his second wife. Caleb Stanley Jr. (1674-1712), of Hartford, was said to be one of the most distinguished men in the colony. He was secretary of the colony from 1709 until his death three years later, and he was appointed surveyor for Hartford County in 1700. He was also a wealthy man: when Caleb died, the inventory of his estate totalled £774. He was married to Hannah Spencer in 1696. They had no children and she died six years later. In 1704, he married Abigail Bunce, daughter of Thomas and Susanna (Bull) Bunce, and they had four children. Their oldest son, Timothy, was my direct ancestor. Both Timothy and Mary were said to “own the covenant,” meaning they were bound to God and one another through a covenant. The covenant, a contract that rested on consent and mutual responsibilities, was an important aspect of the Congregational Church at this time. Mary Mygatt died in 1786 at age 78, and Timothy died the following year, age 83. Timothy and Mary had eight children, seven of whom grew to adulthood. Their eldest son, Timothy Stanley Jr, born in 1730, lived near Litchfield, CT and appears to have been a clothier. He married Mary Hopkins of Harwinton in 1754 and they had eight children. Mary Hopkins probably died around 1770. During the American Revolution, Timothy Stanley Jr. enlisted with Capt. Beebe’s regiment in 1776, and he died on a British prison ship in New York Harbour. Their fourth child was my four-times great-grandmother Pamela Stanley, born in Litchfield, CT in 1760. She married Phineas Bagg in Pittsfield, MA in 1780 and probably died in Pittsfield around 1793. All photos by Janice Hamilton, May, 2018. 1. Gary Boyd Roberts, compiler, Ancestors of American Presidents, 2009 Edition, Boston: New England Historic Genealogical Society, 2009. 2. Janice Hamilton, “The Elusive Pamela Stanley,” Writing Up the Ancestors, Sept. 28, 2018, http://writinguptheancestors.blogspot.com/2018/09/the-elusive-pamela-stanley.html). 3. Leslie Mahler, “Re-Examining the English Origin of the Stanley Brothers of Hartford, Connecticut: A Case of Invented Records,” The American Genealogist, vol. 80, July, 2005, p. 218. www.Americanancestors.org, accessed July 24, 2013. 4. Israel P. Warren, compiler. The Stanley Families of America as descended from John, Timothy and Thomas Stanley of Hartford, CT, 1636. Portland, Maine: printed by B. Thurston & Co., 1887. This book serves as the main source of this article. Last spring, my husband and I travelled to Pittsfield, in western Massachusetts, where Phineas Bagg (c 1751-1823), my four-times great-grandfather, lived. 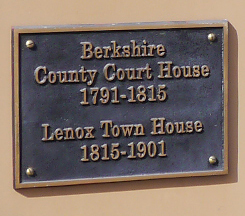 As we wandered around the nearby town of Lenox, we spotted a sign indicating that a small office building had once been the Berkshire County Courthouse. Simply by chance, we were standing in front of the building where my family’s history had taken a dramatic turn. In 1794 and 1795, my ancestor appeared in that courthouse because he owed local merchants money he couldn’t pay. After he lost most of his land to pay off these debts, he left Massachusetts for good. Phineas did not have an easy life. 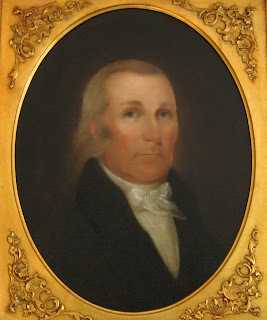 He was born in Westfield, MA around 1751, the youngest of eight children of farmer David Bagg and his wife Elizabeth Moseley.1 His mother died when Phineas was about eight years old and his father remarried, but that second wife also died. In the mid-1760s, the family moved to Pittsfield, a new town on the western frontier of Massachusetts, and David Bagg remarried a third time. The family cleared the forest so they could plant crops and likely built their own log cabin. As a young single man in 1777, Phineas purchased a farm of his own of about 100 acres. What was not recorded was his wife’s death. Pamela probably died between 1792 and 1794, a period when there were many deaths in the community. This would have been a hard blow to the family, not only emotionally, but also because women usually contributed to the work on the farm. Many New England farmers had faced financial difficulties ever since the end of the revolution. In 1886 and 1887, many of them joined in what became known as Shays’ Rebellion.7 I do not know whether Phineas joined the rebels, but he shared a similar financial situation. Phineas was a yeoman: a farmer who owned his own land. Land ownership gave yeomen a great deal of pride and independence. Before the revolution, the farmers in the interior regions of Massachusetts were subsistence farmers: they grew enough crops to feed their families (mostly Indian corn, apples and vegetables) and bartered the small surplus of goods they produced with local merchants to obtain products such as nails and sugar. After the revolution, new economic forces squeezed the merchants, and they in turn pushed their customers for cash. The farmers did not have cash, so the merchants took them to court. Many yeomen lost their land as a result, others were sent to jail – and jail was a dirty and dangerous place. In 1795, he took out another mortgage on his property. Then ten additional creditors to whom he owed a total of $650, including substantial court costs, assessors’ fees and inflated travel expenses, won judgments against him. To repay them, Phineas lost another 62 acres of farmland, the barn and half his house. The final case, heard in 1797, involved money he owed to tailor John George Randow. Once again, the court ordered that Phineas should be jailed if he did not pay. Phineas did not pay and he did not appear in court. In fact, by that time, he was probably in Canada. Several weeks later, Randow acquired title to a piece of land from Phineas’ farm. Perhaps these events had convinced Phineas that he could not support his children in Pittsfield. Perhaps he was so distraught, he did not want to try. I do not know whether his extended family members tried to convince him to stay. Meanwhile, it appears he had found a companion who wanted to join him in a new life – or perhaps she persuaded him to go. At some point, he and the children left for Canada, where he lived with Ruth Langworthy, a young woman who had probably accompanied them from Pittsfield. As far as I know, she and Phineas did not marry. How they chose their destination is another mystery. Probably Phineas knew someone who lived in La Prairie, a town on the south shore of the St. Lawrence River near Montreal, because that is where they ended up. Phineas received a license to run a tavern in La Prairie on March 15, 1797 and he became an inn keeper.9 La Prairie notary Ignace-Gamelin Bourassa handled six acts for Phineas between September, 1796 and March, 1801, including a lease, an agreement for transportation and a loan guarantee, while notary Edme Henry handled two leases from Joseph Nolin to Phineas Bagg in 1800 and 1803.10 Other notarial records show Phineas purchased land in the La Prairie area in 1805 and sold it in 1813. Ruth Langworthy gave birth to two children in La Prairie. Daughter Lucie Bagg was baptized in the Catholic parish church in La Prairie on January 11, 1798 by a French-speaking priest and with French Canadian godparents. Son Louis died shortly after birth and was buried April 1, 1800, but Lucie grew to adulthood. I have found no further record of Ruth. About this time, Phineas may have been a member of the Scotch Presbyterian Church in Montreal.12 A number of Americans were members of the same church. 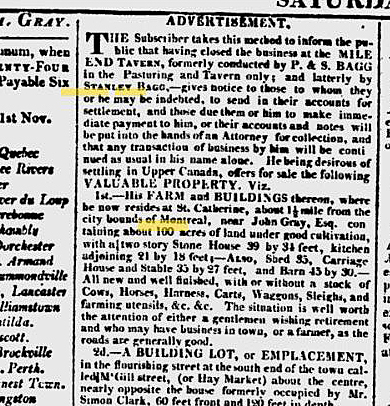 In 1810 he went into partnership with his eldest son, Stanley, as P & S Bagg. They leased a building from landowner John Clark and started a new enterprise as tavern keepers. The Mile End Tavern was in the countryside north of the city of Montreal, at the junction of the only two roads in the area. It must have been a popular spot, especially on days when there was horse racing at the nearby track. Meanwhile Stanley was busy with other business opportunities as a merchant and contractor. In 1818, when Phineas was around age 67, they closed the business. 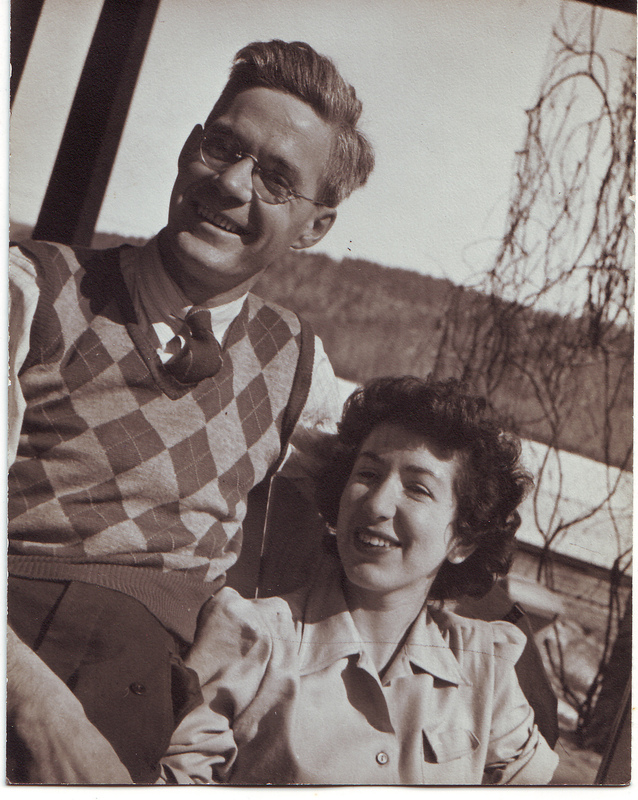 The following year, Stanley married Mary Ann Clark, their former landlord’s daughter. Perhaps Phineas lived with Stanley and Mary Ann in their house on St. Lawrence Street for the last few years of his life. When he died in 1823, his funeral service was held at Montreal’s Anglican Christ Church. 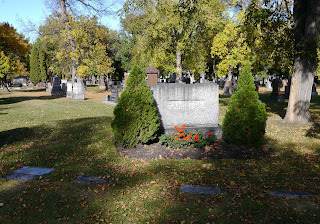 Phineas Bagg Esquire was probably buried in the old cemetery downtown and his remains later moved to the Bagg famly crypt in Mount Royal Cemetery. Once a debtor threatened with imprisonment, Phineas had become part of a well-respected family. “An Economic Emigrant,” writinguptheancestors.blogspot.com, Oct. 16, 2013, http://writinguptheancestors.blogspot.com/2013/10/an-economic-emigrant.html. 3. Early Vital Records of Berkshire, Franklin, Hampden & Hampshire Counties, Mass. to about 1850 (electronic resource) Wheat Ridge, CO: Search and Research Publ Corp. c2000, p. 22 of sheet 99, F94/p6/M37. 4. According to date of birth calculated from age as listed on her tombstone, Polly Bagg Bush was born April 22, 1785 and died Jan 9, 1856. (https://www.findagrave.com/memorial/65952231/polly-bush). Stanley Bagg and his brother Abner were both baptized as adults in Christ Church (Anglican) Montreal in 1831. At that time Stanley gave his date of birth as June 27, 1788 and Abner said his date of birth was August 5, 1790, however, this date does not make sense in light of his sister Sopha’s calculated birthdate. “Quebec, Canada, Vital and Church Records (Drouin Collection), 1621-1968” [database on-line]. Ancestry.com, (www.ancestry.ca, accessed 2 Oct. 2016), entry for Stanley Bagg, 2 April, 1831; citing Gabriel Drouin, comp. Drouin Collection. Montreal, Quebec, Canada: Institut Généalogique Drouin. 5. United States Census, 1790 Pittsfield, Berkshire, Massachusetts, familysearch.org, results for Phinehas Bagg. "United States Census, 1790," database with images, FamilySearch(https://familysearch.org/ark:/61903/1:1:XHKL-1HW : accessed 29 September 2018), Phinehas Bagg, Pittsfield, Berkshire, Massachusetts, United States; citing p. 483, NARA microfilm publication M637, (Washington D.C.: National Archives and Records Administration, n.d.), roll 4; FHL microfilm 568,144. 6. The people of Pittsfield were not great record keepers at this time, however, the Berkshire Family History Association (http://www.berkshirefamilyhistory.org/) has done a good job of transcribing the records that do exist and publishing them in Berkshire Genealogist. The Berkshire Atheneum, the public library in Pittsfield, has an excellent collection of genealogy resources and local history books. I also found some records of Phineas at The New England Historic Genealogical Society library in Boston. 7. David P. Szatmary, Shay’s Rebellion: The Making of an Agrarian Insurrection, Amherst: University of Massachusetts Press, 1980. 8. I copied the microfilmed records of Phineas’ court appearances at the New England Historic Genealogical Society in Boston in 2011. At that time, I was fairly new to genealogy and did not take proper note of the source. First, I consulted the index to deeds granted by Phineas Bagg in Pittsfield, dated between 1794 and 1797, (character Levy, volume 32, between pages 46 and 111.) The grantees included Williams, Randow, Minteur, Van Schaal, Danforth, Metcalf, Messenger, Gold, Cadwell, Hallister, Noble, Ford and Thayer. Phineas transferred property to these men to cover the money he owed them. These legal documents have been digitized by Familysearch.org and can be browsed under Massachusetts Land Records 1620-1986, Berkshire, Deeds, 1792-1813, vol 31-32, images 438- 442. These online documents are much clearer than the microfilmed version was. 9. Historian Donald Fyson told me he came across this license, issued by the Special Sessions of the Peace, in the archives of the City of Montreal when he was working on his PhD. 10. Once again, I did this research many years ago and I did not make a full notation of the sources. The indexes to these acts are not online. I remember looking at actual old books at the Bibliothèque et Archives nationales du Québec (BAnQ) on Viger Street in Montreal. My notes mention notary Ignace-Gamelin Bourassa, 1789-1804 La Prairie, microfilmed, reel 2718-2723, Cote CN601,S47; and notary Edme Henry, 1783-1831, Cote CN601,S200. 11. Fyson mentioned this in a note to me. 12. Rev. Robert Campbell, A History of the Scotch Presbyterian Church, St. Gabriel Street, Montreal, Montreal: W. Drysdale & Co. 1887, P. 252. https://archive.org/details/cihm_00397/page/n1. A section of this book that discusses the large number of New Englanders living in Montreal at the beginning of the 1800s. The author mentions Phineas but incorrectly describes him as Abner Bagg’s brother, rather than his father, so he may have confused Phineas with Stanley. 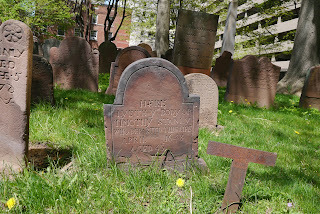 This is the eighth in a series of posts about four generations of my ancestors in colonial Massachusetts and Connecticut. It includes the Bagg, Burt, Phelps, Moseley, Stanley and other related families between 1635 and 1795. 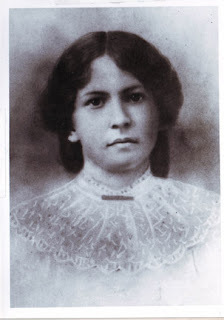 When I first started to research my ancestors some 10 years ago, one of my goals was to find out what happened to my four-times great-grandmother Pamela Stanley, wife of Phineas Bagg (c. 1750-1823). As is the case for many women in colonial America, there were few traces of her, and I was curious. I knew Phineas and the children had moved from Massachusetts to Canada around 1795 and I wondered whether she had accompanied them on this journey. Another reason Pamela intrigued me was because her last name, Stanley, was given to three generations of my direct ancestors: her son, Montreal merchant Stanley Bagg (1788-1853), his son Stanley Clark Bagg (1820-1873) and grandson Robert Stanley Bagg (1848-1912). Pamela’s father probably owned a small business as a clothier in Litchfield, a village in northern Connecticut. When the American Revolution broke out, he enlisted. He was captured by the British and died aboard a prison ship in New York harbour in 1776. I do not know who supported Pamela and her siblings after that since their mother had died around 1770 and their father did not leave a will. On March 29, 1780, Pamela Stanley and Phineas Bagg, both of Pittsfield, Massachusetts, announced their intention to marry.3 Phineas was a farmer in the remote Berkshire hills, about 90 kilometers (60 miles) from Litchfield. How they met was a mystery until I discovered that Pamela’s uncle Caleb Stanley lived in Pittsfield for many years and was town clerk there from 1777 until his death in 1781.4 In addition, Pamela’s brother Frederick and Phineas’ brother Martin served in the same militia unit in 1777. Phineas Bagg’s household was listed in a local census of Pittsfield in 1786, and it was counted in the 1790 U.S. federal census, but Phineas was the only family member personally identified. As for Pamela’s date of death, it remains a mystery. The minister of the First (Congregational) Church of Pittsfield kept detailed records of the births and deaths of his parishioners, and in many instances he listed the cause of death. But in 1792 the community lost about 30 people, in 1793 26 people died, and 36 people, 14 of them adults, died in 1794.7 The minister must have been exhausted and overwhelmed by so much sickness and sorrow and he did not list any of their names. My guess is that Pamela died during this period. I have found no trace of her grave. Perhaps Phineas could not afford a stone, or perhaps it deteriorated long ago. Between 1794 and 1797, Phineas found himself deeply in debt, and he lost almost all of his farmland, his barn and half his house to repay his creditors.8 A widower with four children to raise, he must have decided to start a new life in Canada. He became an inn-keeper in La Prairie, near Montreal, and had two more children (one of whom died as an infant) with Ruth Langworthy there. “An Economic Emigrant,” writinguptheancestors.blogspot.com, Oct. 16, 2013, http://writinguptheancestors.blogspot.com/2013/10/an-economic-emigrant.html,. “Timothy Stanley Jr., Revolutionary Martyr,” writinguptheancestors.blogspot.com, Nov. 15, 2013, http://writinguptheancestors.blogspot.com/2013/11/timothy-stanley-jr-revolutionary-martyr.html. 4. Warren, Ibid. #81, p. 245. 5. Laurel Thatcher Ulrich, Good Wives: Image and Reality in the Lives of Women in Northern New England, 1650-1750, p. 239. 6. According to date of birth calculated from age as listed on her tombstone, Polly Bagg Bush was born April 22, 1785 and died Jan 9, 1856. She lived much of her life in West Haven, Vermont and is buried near her son Phineas in a rural graveyard in southern Illinois. See www.findagrave.com, https://www.findagrave.com/memorial/65952231/polly-bush. Stanley Bagg and his brother Abner were both baptized as adults in Christ Church (Anglican) Montreal in 1831. At that time Stanley gave his date of birth as June 27, 1788. “Quebec, Canada, Vital and Church Records (Drouin Collection), 1621-1968” [database on-line]. Ancestry.com, (www.ancestry.ca, accessed 2 Oct. 2016), entry for Stanley Bagg, 2 April, 1831; citing Gabriel Drouin, comp. Drouin Collection. Montreal, Quebec, Canada: Institut Généalogique Drouin. The same source gives Abner’s date of birth as August 5, 1790, however, this date does not make sense in light of his sister Sopha’s calculated birthdate. At his death in 1852, Abner’s age was recorded as 64, which would have meant he was born in 1788, the year brother Stanley was supposed to have been born. When he was married in 1814, Abner gave his age as 25, which would have meant he was born in 1789. Sophia was probably the youngest of Pamela’s children. Dame Sophia Bagg, veuve (widow) Gabriel Roy died Nov. 12, 1860, and at the time was said to have been 69 years, eight months of age. (“Quebec, Canada, Vital and Church Records (Drouin Collection), 1621-1968” [database on-line]. Ancestry.com.) Calculating her date of birth from that, she would have been born around February 20, 1791. 7. Records pf the First Church, Pittsfield, Rollins H. Cooke Collection, Berkshire County, vols 26 and 27, reel #2. 8. Massachusetts Land Records 1620-1986, Berkshire, Deeds, 1792-1813, vol 31-32, images 438- 442. www.familysearch.org, Accessed Sept. 26, 2018. 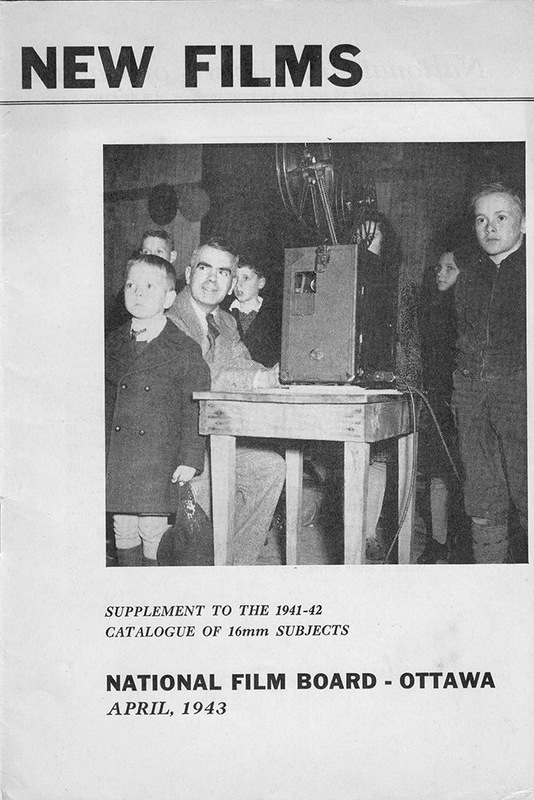 My mother kept this NFB catalogue in a scrapbook. 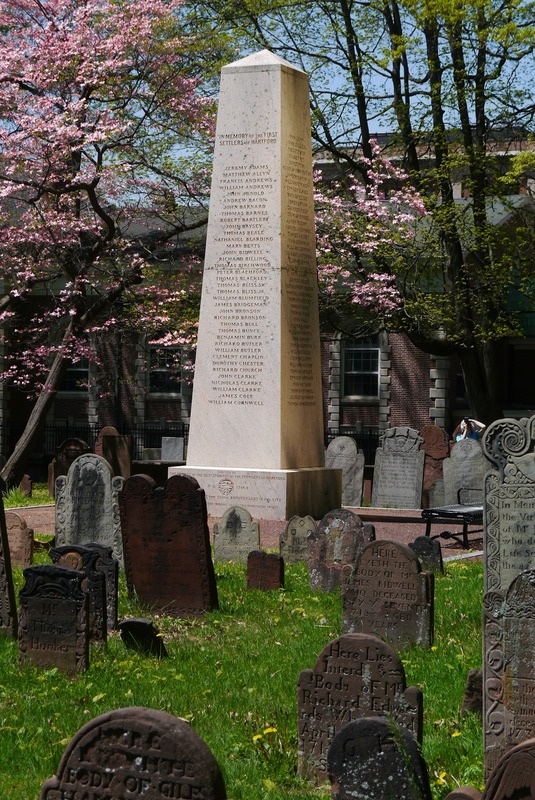 This is the seventh in a series of posts about four generations of my ancestors in colonial Massachusetts and Connecticut. It includes the Bagg, Burt, Phelps, Moseley, Stanley and other related families between 1635 and 1795. David Bagg was a pioneering settler in the remote Berkshire hills of western Massachusetts, he married three times and brought up eight children. At age 60, he fought beside his adult sons in the American Revolution. He was my five-times great-grandfather, and I think of him as a survivor. Born in Feb. 1716/1717, David was the youngest of the ten surviving children of Daniel Bagg and Hannah Phelps of Westfield, Massachusetts.1 Westfield was a thriving town in the Connecticut River valley at the time, and David’s father, a farmer and merchant, was a fairly prominent citizen. David had eight older sisters, and his one brother was 20 years older than him. In 1738, when David was 21, his father died. In his will,2 Daniel Bagg left money to each of his eight daughters and he left his farmland to his two sons, Daniel Jr. and David, to share equally. Daniel Jr., who was married, was to get the new house, while David inherited the old house, plus some cash so he could repair it. David also inherited the team of oxen that were used to plough the fields and pull the farm wagons. This bequest was probably a big help to David as he began his adult life. A year after his father’s death, on July 7, 1739, David married Elizabeth Moseley,3 the daughter of prominent Westfield resident Consider Moseley and his wife Elizabeth Bancroft. Like most other New England couples at the time, David and Elizabeth had a large family: Elizabeth, Joseph, Rachel, Martin, Eunice, Abner, Aaron and Phineas. Phineas (my four-times great-grandfather) was probably born in 1751, however, there is no record of his baptism. As far as I know, David led a quiet life in his younger years. He farmed the fields he had inherited from his father and, in 1754, his brother sold him the 12 tracts of land in Westfield that he had inherited.4 But David’s life seems to have been turned upside down with his wife’s death in Westfield on April 11, 1759.5 At the time, his children ranged in age from about 18 to eight. In the wake of his wife’s death, David must have decided to leave Westfield. He bought a farm in nearby Blandford Township and the following year, on June 25, 1761, he married Martha Cook, the widow of John Dickinson.6 This marriage did not last long, however, as Martha died a year later. Over the next few years, David made an even bigger move. He gradually sold off his properties in Westfield, selling the last tract of land in 1777. He also sold the farm in Blandford in 1766.7 Meanwhile, he purchased property in Pittsfield, Massachusetts, in the isolated Berkshire hills of the colony’s western frontier. 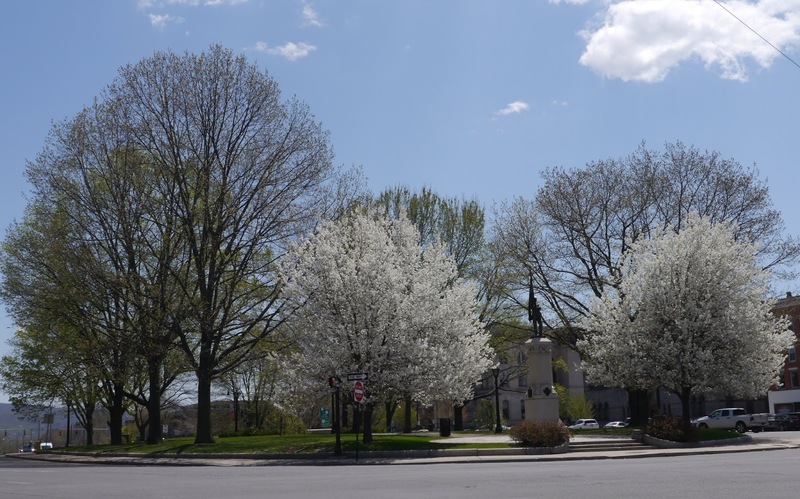 In this newly settled area, the soil was rockier and less fertile than in the Connecticut valley, but perhaps David felt that Pittsfield would offer an opportunity for a fresh start for himself and affordable land for his five sons. The move was also typical of a trend in colonial New England for farmers and their growing families to leave settled areas, which were becoming crowded, and found new towns. David’s father Daniel had done the same thing as a young man, moving from Springfield, MA, where he was born, to Westfield, which at that time had been the colony’s westernmost outpost. The Pittsfield site was purchased in 1734 by an investor from Boston, but efforts to clear the land immediately were abandoned because of the threat of Indian raids. The first settlers, many of whom came from Westfield, arrived in 1752. In 1769, David married a third time.11 His new wife was Ruth (Owen) Tupper, the widow of Thomas Tupper of Salisbury, Connecticut. She gave birth to 13 children during her first marriage, five of whom are recorded as living to adulthood. David’s lifetime was a period of social and political change. For one thing, the people of New England were not as religious as their great-grandparents had been when they came to North America as Puritans fleeing religious persecution. Politically, the Seven Years’ War (also known as the French and Indian War,) ended in 1763 with the French ceding New France to the British. This brought to an end the raids on Massachusetts towns by the aboriginal allies of the French. It also led indirectly to the American Revolution: the war had left the British heavily in debt, and the high taxes they imposed on the Thirteen Colonies eventually led to a revolt. In the 1790 federal census, sons Martin and Phineas Bagg and Daniel Bagg (likely a nephew) were counted in Pittsfield, while son Joseph appeared in nearby Lanesborough.14 David might have been living with one of his children, but he was probably deceased by then. There were several men named David Bagg in this time period. 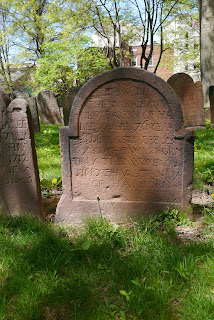 David Bagg jr.,son of David and Hannah of Springfield died in 1756 in his 19th year. 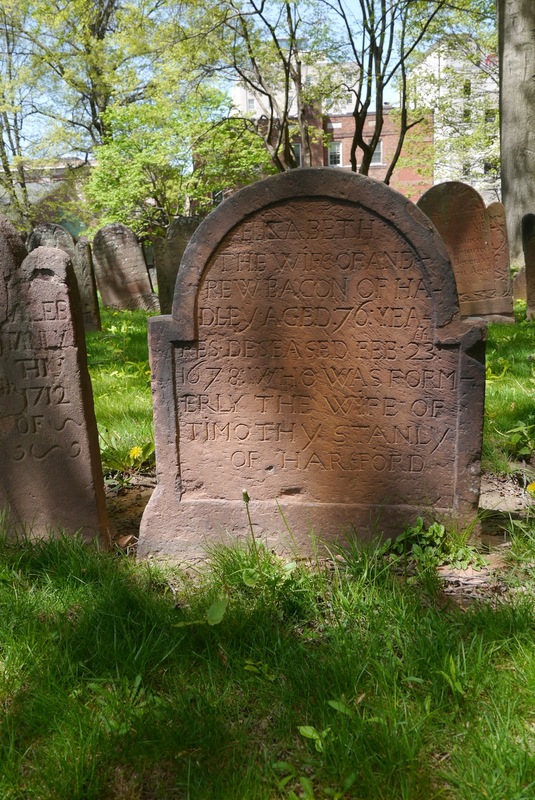 David Bagg, son of Jonathon Bagg of Springfield, died in 1760 in his 50th year. Also David Bagg, born Westfield to Mary Sackett, March 27, 1739. The children of David and Elizabeth (Moseley) Bagg. Elizabeth bapt. Nov. 1, 1741 at Westfield (Westfield, MA, Baptisms performed at the Church of Christ, 1679-1836), Elizabeth Bagg of Blandford m. Hezekiah Jones of Pittsfield, July 12, 1764, Westfield (Massachusetts Vital Records, 1620-1850, Westfield, vol. 2). Joseph born Jan 6, 1739/40 at Westfield, bapt. Nov. 1, 1741; (Massachusetts Vital Records, 1620-1850, Westfield, vol. 1) soldier in American Revolution, m. Eunice Loomis in Blandford, Dec. 29, 1765, (Massachusetts Town Clerk, Vital and Town Records), lived in Lanesborough, d. 1836. Phineas born c. 1751 in Pittsfield, MA; yeoman in Pittsfield 1777, soldier in American Revolution; moved to Laprairie, QC c. 1795; d. 31 Nov. 1823, in Montreal. m. 1) Pamela Stanley of Litchfield, Conn, 21 Mar. 1780 in Pittsfield; d. c. 1793; 2) (common law) Ruth Langworthy. 4. William A. Cooper, “The James Bagg Family of Lanesborough, Mass,” unpublished, 1918. 8. Rollin H. Cooke, Pittsfield Families, Vol. 1 A-B, p. 73. 9. J.E.A. Smith, The History of Pittsfield, (Berkshire County,) Massachusetts, From the Year 1734 to the Year 1800. Boston: Lee and Shepard, 1869. p. 476. 10. “The Number of Families and Persons in the town of Pittsfield, Nov. 16, 1772” Berkshire Genealogist, fall 1993, vol. 14, no 4, p. 111. 14. Ancestry.com. 1790 United States Federal Census [database on-line]. Provo, UT, USA: Ancestry.com Operations, Inc., 2010. Images reproduced by FamilySearch.